In comments from FXCM Drew Niv during his company’s Q4 conference call, he pointed out that European CFD providers could experience a drop in trading activity due to the Financial Transaction Taxes that are set to be applied to the product. Similar to other new laws, brokers will be required to update their post trade reporting to comply with the taxes and accounting. Responding to that need, Torstone Technology, a provider of financial market processing software has announced an update to their Inferno, post trade reporting solution. The upgrade provides flexibility for users to comply with the new Financial Transactions Tax and easily make changes in the future. 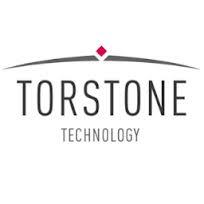 London, 13 March, 2013 — Torstone Technology, providers of securities and derivatives processing software to the global financial markets has readied its Inferno post-trade processing solution for Financial Transaction Tax (FTT) and is rolling out the upgrade to existing clients. 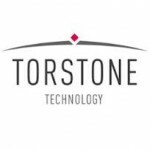 Torstone Technology, headquartered in London with offices in New York and Hong Kong, provides securities and derivatives processing software to the global financial markets. Its flagship product is Inferno which is designed to support high volumes of straight through processing for settlement of a wide range of asset classes from complex derivatives to high volume equity processing. The software is designed for today’s more fragmented and highly regulated markets.